Still, China’s successful landing of the Change-e 4 on lunar terrain last Thursday was a significant scientific and technological achievement—one that can’t be dismissed as just another example of Chinese copy-catting. For one thing, China’s effort was the world’s first mission to the surface of the moon’s far side (which, as it turns out, isn’t actually all that dark) and therefore posed unique technical challenges. The far side can’t be seen from earth, and its surface has never been observed up close. Because the moon blocks direct communication from the far side, to transmit images from the probe back to earth, China had to build a separate relay satellite. Moreover, the far side’s surface is soft and powdery, a bit like snow, and so China’s lunar rover, called the Jade Rabbit 2, had to be specially constructed. China is only the third country, alongside the U.S. and Russia, to send its own astronauts into space aboard its own rockets, and only the U.S. and China have the fiscal and technical wherewithal to mount significant long-term programs for exploring space. China last year launched more rockets into space than any other nation and plans another moon landing, the Chang-e 5, later this year. The country hopes to begin operating its third space station by 2022, and put astronauts on a lunar base sometime in the next decade. Beijing also has plans to to send probes to Mars and return samples of the Martian surface back to earth. Notably space is yet another sphere where earth’s two technological powerhouses compete but don’t collaborate—and seem almost to inhabit different universes. As the BBC notes, U.S. counter-espionage legislation restricts NASA from working bilaterally with Chinese nationals without express permission from Congress. A 2017 law regulating online activity and anonymous speech went into effect in Russia at the beginning of this month. The law “on information and information technology” stipulates what content search providers are legally allowed to show. Russia’s Federal Service for Supervision of Communications, Information Technology and Mass Media (Roskomnadzor, known as the “censorship ministry”) already maintains a registry of banned websites, created in 2012. The list of banned sites range from online gambling to extremist material and information on the use of narcotics. Search engines are now prohibited from showing these sites in their search results. To facilitate the implementation of the registry, Russian agencies created the Federal State Information System to act as a bridge between the registry and search providers. 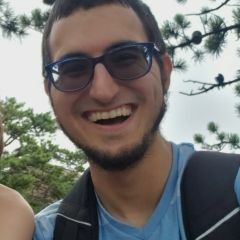 These search providers are now legally mandated to connect to this system through an API so that banned websites will automatically be filtered out. Yandex, Russia’s largest search engine has connected to the API, but Google has so far not compliedwith these new requirements, which may leave it subject to a petty fine (by Google’s standards) of up to 700,000 rubles, or about USD $10,000. The law also dictates when and how a user can anonymously use the internet, such as through VPN (Virtual Private Networks) software that allows users to mask the origin of their traffic through servers in other countries, thereby avoiding locally-based content restrictions and censorship. Google has been censoring search results in Russia on the basis of local laws for quite some time. Links to popular Russian torrent sites disappeared over a year ago from both Yandex and Google as Roskomnadzor deemed the sites illegal. As RuNet Echo reported earlier, Google has also been accused of over-complying with censorship requests from the Russian government, such as removing YouTube videos posted by opposition figure Alexey Navalny, and most recently, blocking a controversial rapper’smusic video. Several years ago, Google moved some of its servers to Russia in accordance with laws compelling companies to store their data on Russian citizens on Russian soil. With some servers now in Russia, the authorities have a more direct means of forcing the company to comply with local law. Users have long suggested using VPNs to go around these types of measures, but the law’s provisions took this into account as well: VPN providers must block the sites, or face being blocked themselves. But this may be easier said than done. The Russian government banned Telegram earlier this year, but the app is still up and running and being used all across Russia without a VPN. Similar attempts to block VPN services could meet limited success, due to their decentralized infrastructure. This leaves the threat of a fine as the most salient option at Roskomnador’s disposal against VPNs and search providers that do not connect to the new federal system. While the proposed fine may seem paltry from the perspective of massive tech companies like Google, sources close to Russian tech operations have said that amendments are in the works to drastically increase fines. Rather than capping the fines at 700,000 rubles, the new rules allegedly peg the fines at 1% of the company’s earnings. While regular internet users don’t have to worry about such excessive fines, they too could soon face other repercussions for anonymously using the internet. Roskomnadzor has spearheaded new rules that require messaging apps to identify users based on their mobile provider. This in effect ties a user’s phone number to their personal identity. Apps like Signal and Telegram pride themselves on allowing a user to communicate practically anonymously if they so wish. By obligating such apps to verify a user’s identity with their service provider, the Russian government is attempting to crack down on dissent and what they see as criminal activity. Telegram voluntarily registered with Roskomnadzor in 2017, which makes them liable under the new law. Signal does not keep servers in Russia and may run the risk of being banned there for non-compliance with the rule, but it also has a relatively small user base in Russia. The ability to communicate anonymously on messaging apps makes it difficult for law enforcement agencies to investigate crimes. The government’s current decree is a necessary step in creating a safe communication environment for both citizens and the state as a whole. In many instances, the ability to post content online anonymously is a major draw for users. Being able to express an opinion or expose injustices without using one’s identity is now more important than ever, seeing as how people have been facing criminal chargers simply for posting memes. And the consequences of de-anonymizing a user have been seen in various scenarios. After last month’s suicide attack at an FSB (Federal Security Service, Russia’s domestic intelligence agency) office, the administrator of an anonymous Telegram channel was arrested for spreading messages glorifying the attacker. It is unknown if Telegram cooperated with law enforcement to expose this user, but if messaging apps start to follow these new rules, more prosecutions can be expected along with an outright drop in dissenting voices online. These new laws and rules, along with the plethora of other laws regulating the collection of online users’ data, make it difficult to use online platforms to voice discontent in Russia. At a time when both online and public spaces face increasing limitations on expression in Russia, further restrictions should worry Russians and non-Russians alike. Though individual users can take measures to protect their accounts, such as using two-factor verification, there is little they can do to protect themselves from backdoor transmission of their data to the authorities. 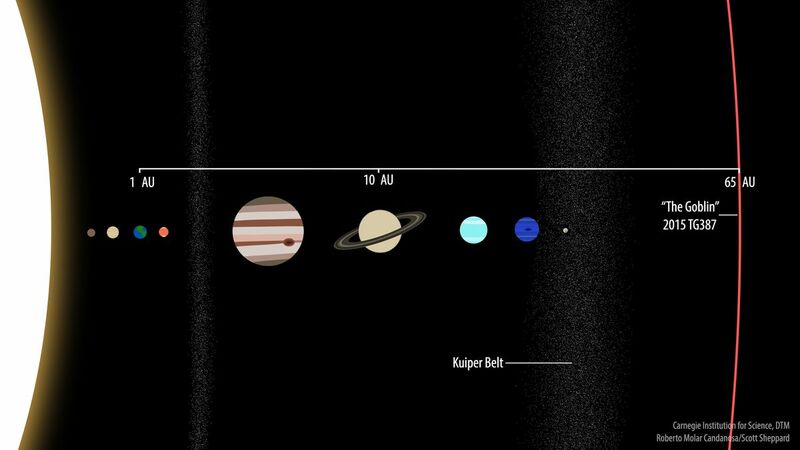 A New Discovery, A 9th Planet In Our Solar System? A new discovery is strengthening the idea that a large, mysterious planet — known as Planet 9 or Planet X — may be lurking unseen at the Solar System’s edge. Astronomers say they have found a tiny object orbiting far out from the Sun that fits with the Planet X theory. In fact, the object may have even been pushed onto the path it takes now by this hidden planet’s gravity. The tiny rock — eloquently named TG387 and nicknamed “The Goblin” — was spotted by astronomers at the Carnegie Institution of Science using a giant Japanese observatory in Hawaii called Subaru. The Carnegie team first spotted the object in 2015 and then followed it on its journey around the Sun for the last four years. Those observations revealed an incredibly distant target. TG387 takes a whopping 40,000 years to complete just one orbit around the Sun. And it’s on a very elliptical path far from the inner Solar System; the closest it ever gets to the Sun is 65 Astronomical Units (AU), or 65 times the distance between the Sun and the Earth. For reference, Pluto only gets as far as 49 AU’s from the Sun. This orbit is particularly enticing since it puts TG387 in a select group of distant Solar System objects that all point to the possible existence of Planet X. Right now, there are 14 far-out space rocks that all share similar orbit patterns, suggesting that this planet is out there. Their paths are all super elongated, and they all cluster together in the same area when they approach the Sun. Plus, their orbits are all tilted alike, and they point in the same general direction, as if something big has pushed them into similar places. These objects are the strongest lines of evidence astronomers have for Planet X, and finding a new one that matches this pattern reinforces that idea that this planet is more than just a theory. The idea that a giant planet is lurking beyond Neptune is an idea that astronomers have speculated for the last century. However, the hunt for this planet turned much more serious in 2012, when Sheppard and his team found a far-flung object that was truly unique. It was an object called VP113, and it currently holds the record for the most distant object orbiting the Sun. The closest it ever gets to the star is 80 AU’s, or 80 times the Earth-Sun distance. Sheppard noticed that this object also followed a path similar to those of a few other distant space rocks, as well as a far-off dwarf planet called Sedna. “They all have this clustering, and so that suggested that something was pushing them into similar types of orbits,” says Sheppard. Then, in 2016, a pair of researchers from Cal Tech, Mike Brown and Konstantin Batygin, did the math. Based on the orbits of six of these objects, they estimated that there’s a planet roughly 10 times the mass of Earth orbiting far beyond Neptune. Their calculations showed that it possibly takes 10,000 to 20,000 years to orbit the Sun. Brown and Batygin dubbed the phantom planet “Planet 9,” though others had been calling it Planet X years before. Since then, more and more objects have been found that fit this orbit pattern. The idea is that these objects are in just the right orbits needed to survive Planet X’s gravitational wrath. If they followed any other path, they would likely collide with the big planet or the planet’s gravity would send them hurtling out of the Solar System. However, all of these very distant extreme objects orbit in such a way that they never get close to Planet X when it crosses their orbits. “Whenever the planet is crossing the orbit of one of these objects, these objects are on the other side of the Solar System. So they never get close to each other,” says Sheppard. But not all of these objects are as reliable narrators as they could be. “Among these 14 objects, some tell a more precise story than others,” Batygin, who was not involved with today’s study, tells The Verge. For one thing, some of the objects cross the orbit of Neptune, and that planet’s gravity might have some influence on the objects and warp their routes. “Neptune has the effect of muddying things up, even if you have an orbit carefully sculpted by Planet 9.” That makes it hard to know whether or not the object is truly pushed about by this unseen planet. 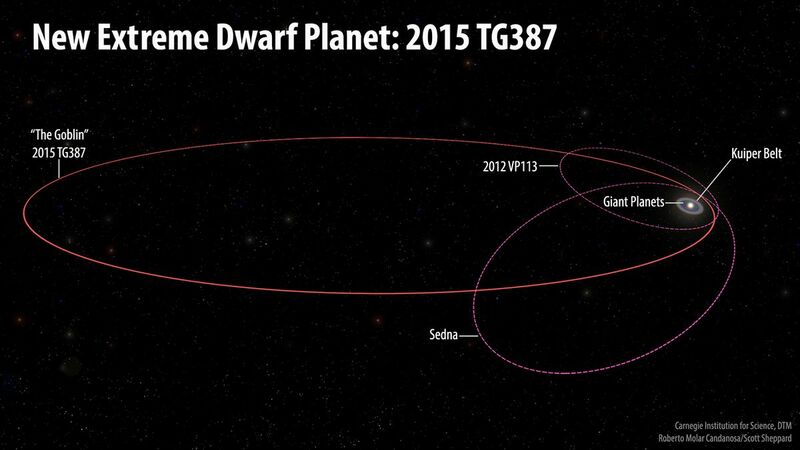 But this new discovery, TG387, is special because its orbit is so distant. When it’s farthest from the Sun, the rock will be at an extreme 2,300 AU’s away. In fact, it’s remarkable that astronomers found it all since it’s about seven times smaller than Pluto and so far off. But because of its extreme distance, TG387 is not influenced in any way by the large objects in the inner Solar System. Jupiter, Saturn, Uranus, and Neptune don’t have any effect on its orbit. That means if this object was truly batted around by Planet X, it might hold more information about the planet’s orbit than other objects do. And when the team ran simulations of the Solar System with a Planet X in it, they found that this object’s orbit isn’t subject to change. “This one joins an elite group of six objects that are stable,” says Batygin. Of course, Planet X is nowhere near a done deal. There are only 14 objects that potentially support its existence. That’s a super low number by statistical standards. “We don’t have tens of these objects,” Michele Bannister, an astronomer studying distant small bodies at Queen’s University Belfast, who was not involved with this research, tells The Verge. “I’d be very happy if we had tens, but there’s barely even a handful.” Additionally, Bannister says it’s important to remember that astronomers still don’t have a comprehensive snapshot of the distant Solar System. The time of year, the weather, and the part of the sky a telescope observes all influence the kind of objects that are discovered out there, adding bias to the sample. Plus, the objects that we find are typically on their closest approaches to the Sun on their super distant orbits, and that skews our discoveries a bit. For instance, TG387 was found when it was around 80 AU’s away, not thousands of AU’s away. That means we may not have a good idea of what all is out there because we can’t see the objects that are super far out on their orbits. “Each of these objects we detect is the tip of an iceberg for a larger population,” says Bannister. For every new discovery made, there must be hundreds of thousands of more objects that astronomers can’t see. And those objects could tell a different story than the Planet X one. 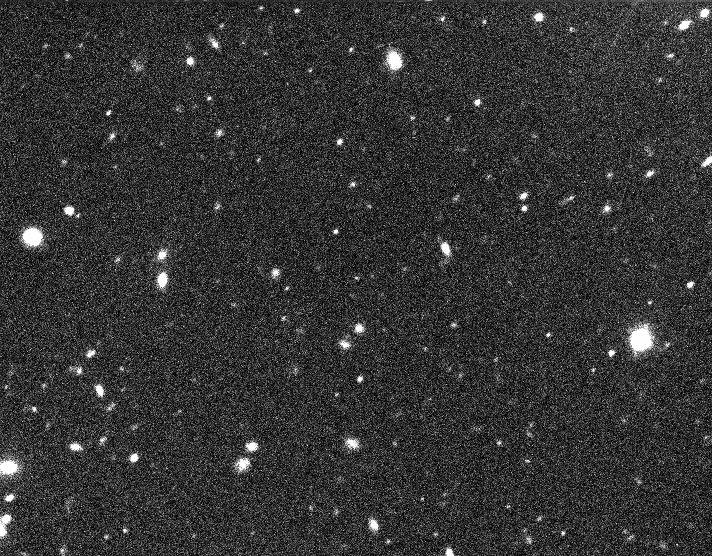 But TG387 does help point astronomers in a slightly better direction. Before this discovery, there were about 30 orbits that Sheppard and his team thought Planet X could be on. Now, there are only 25 or so, he says. And the astronomers will be back at Subaru in mid-October to pick up the search. “We’ve covered about 30 percent of the prime area, and we hope by the end of this year, we’ll have covered 60 to 70 percent of that prime area,” says Sheppard. If Planet X is found, then a whole new crop of questions will arise. Perhaps the biggest one of all is where did it come from? Most don’t think it’s possible for this planet to have formed where it is now. It likely formed in the inner Solar System and got flung outward, perhaps by Jupiter or Saturn. “That would suggest a lot of big things formed in our Solar System, and it was a very chaotic place in the formation era,” says Sheppard. 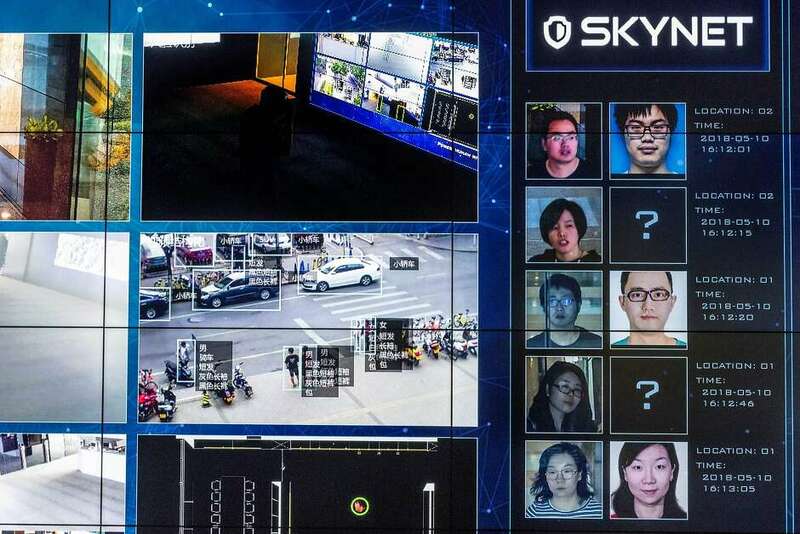 Monitors show facial recognition software in use at the headquarters of the artificial intelligence company Megvii, in Beijing, May 10, 2018. Beijing is putting billions of dollars behind facial recognition and other technologies to track and control its citizens. “In two years, China will be ahead of the United States in AI (artificial intelligence),” states Denis Barrier, CEO of global venture firm Cathay Innovation. Others say the same. If so, China will largely determine how this technology transforms the world. Today’s contest is more than a race for dominance in a new technology — it’s one between authoritarianism and democracy. “AI is the world’s next big inflection point,” says Ajeet Singh, CEO of Thought Spot in Palo Alto. Artificial intelligence is machine learning, which self-learns programmed tasks, using data, and the more it gets, the more learned it becomes. It drives cars, recognizes individuals, diagnoses diseases and more. Like past informational technologies, artificial intelligence will convey advantages to the nation that leads its use — accelerating research, increasing productivity and enabling dominant military capabilities. Hence, China’s race to dominate the technology. “Research institutes, universities, private companies and the government all working together … I haven’t seen anything like it,” said Steven White, an associate professor at Tsinghua University, China’s MIT. In the race for artificial intelligence dominance, “the U.S. will lose because they don’t have the resources,” said White. Its shrinking labor force — A “national crisis,” says the National Committee of Chinese People’s Political Consultative Conference, which predicts China’s working population will drop from 631 million in 2020, to 523 million in 2035, and 424 million in 2050. China must also care for a growing elderly population. The United Nations estimates China’s over-65-age group will increase from about 160 million in 2020, to 360 million in 2050. How to remain an economic power — China seeks to operate almost a million robots and produce 150,000 industrial ones in 2020. Growing health care needs — China seeks a “rapid, accurate intelligent medical system,” including artificial intelligence-scanning imagery for cancer, robots providing medical references for doctors, and artificial intelligence-powered online consultations. Military dominance of the East and South China seas, which allows access for China’s export-driven economy. China’s government seeks a civil-military fusion of artificial intelligence, enabling faster military decision-making, robotic submarines and large drone swarms that could overwhelm opposing forces. Control by the Communist Party over China’s population. Internal unrest — coastal rich vs. interior poor; ethnically different regions like Tibet; an anxious middle class; and pro-democracy efforts — has long concerned authorities. China is using artificial intelligence to build an Orwellian state. Smart cities track peoples’ movements. China, netted with millions of cameras and facial and vehicle recognition systems, can rapidly identify individuals. Police wear facial recognition glasses that do the same. Bio-metric data provide even better identification. And people get social credit scores, which determine eligibility for loans, travel and more. This artificial-intelligence-enabled system enables political repression and strengthens autocratic rule. Today, a divided America needs to “get [its] act together as a country” regarding artificial intelligence said former Alphabet CEO Eric Schmidt. If it doesn’t, America’s greatness will pass, and so will hope for a free world order. Thomas C. Linn is a U.S. Naval War College professor, a U.S. Army War College instructor, author of “Think and Write for Your Life — or Be Replaced by a Robot” and a retired U.S. Marine. The views expressed are his own. CHINESE bombers, fighters and early warning and aerial refueling aircraft yesterday flew through the Bashi Channel that separates Taiwan and the Philippines heading for exercises in the Western Pacific. The air force described the exercises as part of normal, annual, planned drills. The air force will organize regular exercises that fly past the “first island chain,” it said, referring to an area that includes Japan’s Ryukyu Islands and Taiwan. China on Monday accused Japan of trying to “confuse” the situation in the South China Sea, after its neighbor said it would step up activity in the contested waters, through joint training patrols with the United States. Ties between Asia’s two largest economies have long been overshadowed by arguments over their painful wartime history and a territorial spat in the East China Sea, among other issues. China has repeatedly denounced what it views as interference by the United States and its ally Japan in the South China Sea. Japan will also help build the capacity of coastal states in the busy waterway, its defense minister said last week during a visit to Washington. 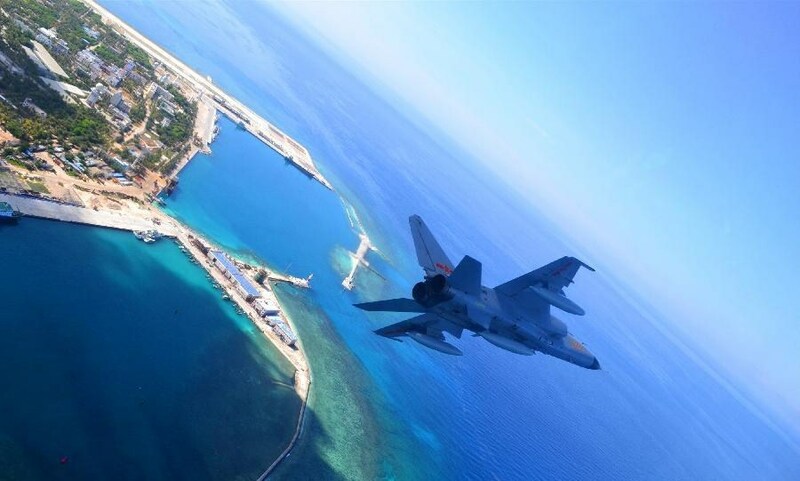 Chinese Foreign Ministry spokesman Lu Kang said countries in the region had reached a consensus that the South China Sea issue should be resolved through talks between the parties directly involved, and that China and Southeast Asian countries should jointly maintain peace and stability there. “Let’s have a look at the results of Japan’s throwing things into disorder over this same time period … trying to confuse the South China Sea situation under the pretense of (acting for) the international community,” Lu told a daily news briefing, when asked about Japan’s announcement. Japan’s actions have simply pushed other countries away from it, and it has failed to compel other nations to see its point of view, he added. “China is resolute in its determination to protect its sovereignty and maritime interests,” Lu said. China claims almost all of the South China Sea, through which ships carrying about $5 trillion in trade pass every year. Brunei, Malaysia, the Philippines, Taiwan and Vietnam also have claims in the sea, which is also believed to be rich in energy resources and fish stocks. In July, an arbitration court in the Hague said China’s claims to the waterway were invalid, after a case was brought by the Philippines. Beijing has refused to recognize the ruling. Elon Musk and his rocket company, SpaceX, plan to launch a private passenger named Yusaku Maezawa around the moon. Yusaku Maezawa is a Japanese entrepreneur and art collector. If all goes according to plan, Maezawa will take a lunar voyage on the Big Falcon Rocket, or BFR: a launch system that SpaceX is developing to colonize Mars. Maezawa purchased all seats on the spaceship, and plans to select six to eight artists from a variety of disciplines to take the lunar journey with him in 2023. The mission won’t land on the surface of the moon but will ferry Maezawa and his artist crewmates around Earth’s natural satellite. HAWTHORNE, California — Elon Musk and his rocket company, SpaceX, have revealed who will fly their spaceship around the moon for the first time: a Japanese entrepreneur and billionaire named Yusaku Maezawa. “Finally I can tell you that I choose to go to the moon!” Maezawa said during an announcement Monday evening. Maezawa also revealed that he has purchased all seats on the first crewed flight of SpaceX’s Big Falcon Rocket— anew launch system that’s being designed to colonize Mars. Besides himself, Maezawa plans to select six to eight artists to accompany him on his journey around the moon. The artists have not yet been chosen, but part of the project will involve them creating work inspired by their lunar journey after they return to Earth. “If you should hear from me, please say yes and accept my invitation. Please don’t say no,” Maezawa said. SpaceX did not reveal how much Maezawa paid for the lunar flight, but said it was a significant sum and that he already made a down payment. Maezawa was a skateboarder and drummer in his youth, and founded the custom fashion company Zozo 20 years ago. The billionaire made news last year when he spent $110 million on a 1982 painting by Jean-Michel Basquiat. He said that he was inspired to bring a group of renowned artists with him around the moon after thinking of the masterpieces Basquiat would have created had he flown through space. If all goes according to plan, Maezawa and his artist crew may become the first-ever private lunar tourists in history. The mission is slated to launch as soon as 2023, though Musk said he can’t be sure about that timeline yet. Musk described Maezawa as incredibly brave. “This is going to be dangerous. This is no walk in the park,” Musk said. SpaceX’s rendering of a Big Falcon Rocket spaceship carrying a passenger around the moon. Musk also revealed some major design changes to the BFR. Instead of standing 347 feet tall, it will be 387 feet tall. It will have front actuator fins, as well as three back wings that will function as its landing pads. The system’s spaceship, which will ride atop a rocket booster, is expected to carry up to 100 people and 150 tons of supplies. SpaceX is currently prototyping the spaceship and other BFR hardware inside a 20,000-square-foot tent at the Port of Los Angeles — at least until a much bigger permanent facility is completed. The first portion of the system has already been built, Musk said. The project is incredibly ambitious and expensive — the total development costs for BFR are somewhere between $2 billion and $10 billion, Musk said. Prior to Monday’s announcement, Musk last publicly described the BFR and showed renderings of the system at the 2017 International Aeronautical Congress. Although the design for the exterior has been altered since then, Musk said on Monday that SpaceX still only has “some concepts” for the interior of the ship. Aerospace experts who follow Musk and SpaceX’s activities suggest that there could likely be more iterations of the BFR design before the company’s first lunar voyage lifts off the launch pad. “I think it is really healthy to see this iterative change happening, because I believe we can assume it is based on actual development and simulation going on,” Greg Autry, the director of the Southern California Spaceflight Initiative, told Business Insider in an email before Musk’s announcement. A Sept. 2018 rendering of SpaceX’s Big Falcon Rocket launching through the cloud tops and toward space. He added that SpaceX plans to shift a majority of the company’s engineering efforts towards BFR by the end of next year, and welcomes the growing competition in the private space race. This story is developing. Please refresh this page for updates. Dana Varinsky contributed reporting to this post. SEE ALSO: Elon Musk is building a spaceship that’s so ambitious that some experts are calling it ‘science fiction.’ Here’s what SpaceX and its engineers are up against. The ACLU says it’s evidence that Congress should step in. Amazon says the ACLU didn’t test properly. Amazon is trying to sell its Rekognition facial recognition technology to law enforcment, but the American Civil Liberties Union doesn’t think that’s a very good idea. And today, the ACLU provided some seemingly compelling evidence — by using Amazon’s own tool to compare 2,500 criminal mugshots to members of Congress. Sure enough, Amazon’s tool thought 28 different members of Congress looked like people who’ve been arrested. That’s a lot of Congresspeople who may soon have some very valid questions about facial recognition and its potential to be abused — particularly since Amazon thinks the ACLU didn’t use it properly to begin with! It turns out that the ACLU got its mugshot matches by using the Rekognition software at its default 80-percent confidence threshold setting, rather than the 95-percent plus confidence level that Amazon recommends for law enforcement agencies. “While 80 percent confidence is an acceptable threshold for photos of hot dogs, chairs, animals, or other social media use cases, it wouldn’t be appropriate for identifying individuals with a reasonable level of certainty. When using facial recognition for law enforcement activities, we guide customers to set a threshold of at least 95 percent or higher,” an Amazon spokesperson told CNET by email. But an ACLU lawyer tells CNET that Amazon doesn’t necessarily steer law enforcement agencies toward that higher threshold — if a police department uses the software, it’ll be set to the same 80-percent threshold by default and won’t ask them to change it even if they intend to use it to identify criminals. “Amazon makes no effort to ask users what they are using Rekognition for,” says ACLU attorney Jacob Snow. The ACLU says that even when it comes to facial recognition for security purposes, Amazon’s website suggests that the 80-percent confidence threshold is sufficent. A source close to the matter tells CNET that when Amazon works with law enforcment agencies directly, like the Orlando Police Department, it teaches them how to reduce false positives and avoid human bias. But there’s nothing to necessarily keep other agencies from simply using the tool the same way the ACLU did, instead of developing a relationship with Amazon. It’s worth noting that false positives are (currently!) an accepted part of facial recognition technology. Nobody — including the ACLU — is saying police would arrest someone based on a false match alone. Facial recognition narrows down the list of suspects, and then humans take over. Recently, facial recognition helped ID the Russian assassins who poisoned a spy in the UK, as well as the Capital Gazette shooter. And Amazon didn’t actually create that many false positives even at the 80 percent confidence ratio, compared to, say, the UK Metropolitan Police’s facial recognition tech. But the ACLU worries that Amazon’s false positives might bias a police officer or government agent to search, question or potentially draw a weapon when they shouldn’t — and we’ve all seen how those encounters can turn deadly. And the ACLU notes that Amazon’s tech seems to have over-represented people of color. Amazon seems to have missed, or refuses to acknowledge, the broader point: facial recognition technology in the hands of government is primed for abuse and raises significant civil rights concerns. It could allow – and in some cases has already enabled – police to determine who attends protests, ICE to continuously monitor immigrants, and cities to routinely track their own residents, whether they have reason to suspect criminal activity or not. Changing the threshold from 80 to 95 percent doesn’t change that. In fact, it could exacerbate it. Should Congress regulate facial recognition? Microsoft thinks so, and now 28 members of Congress have some very personal food for thought — 95-percent confidence threshold or no. In the hours since the ACLU’s test was brought to light, five Congressmen have sent letters to Amazon CEO Jeff Bezos asking for answers and an immediate meeting. You can read the letters here. Update, 12:44 a.m. PT: Added that five Congressmen have sent Amazon CEO Jeff Bezos letters with questions about the facial recognition tech. Also added that Amazon’s tech appears to have over-represented people of color, according to the ACLU. Google announced Thursday it would not allow its artificial intelligence software to be used in weapons or unreasonable surveillance efforts under new standards for its business decisions in the nascent field. The Alphabet Inc (GOOGL.O) unit said the restriction could help Google management defuse months of protest by thousands of employees against the company’s work with the US military to identify objects in drone video. Chief Executive Sundar Pichai said in a blog post: “We want to be clear that while we are not developing AI for use in weapons, we will continue our work with governments and the military in many other areas,” such as cybersecurity, training, or search and rescue. Pichai set out seven principles for Google’s application of artificial intelligence, or advanced computing that can simulate intelligent human behavior. He said Google is using AI “to help people tackle urgent problems” such as prediction of wildfires, helping farmers, diagnosing disease or preventing blindness, AFP reported. “We recognize that such powerful technology raises equally powerful questions about its use,” Pichai said in the blog. The move came after potential of AI systems to pinpoint drone strikes better than military specialists or identify dissidents from mass collection of online communications has sparked concerns among academic ethicists and Google employees, according to Reuters. Several technology firms have already agreed to the general principles of using artificial intelligence for good, but Google appeared to offer a more precise set of standards.